Note: The S-1 dropped on Feb 2nd revealing that Snap made $400m in 2016 but spent $900m, which means we severely underestimate the degree of losses at Snap. Chief among the negative surprises was the negative gross margin indicating the very costly hosting needs of Snapchat’s services. Follow our live annotations for more. Snapchat lost $130m in 2014. Despite getting serious about monetization and growing revenues 11,000%, we estimate operating losses have grown significantly, making $SNAP the most unprofitable social media IPO in history. Recall that we kicked off this series with a focused history of Snapchat’s Product and M&A strategy. The reality of running a startup is that it is all well and good to dream big, but push comes to shove when it is time to execute. Execution boils down to: A) can you make money, and then B) can you eventually spend less money than you make? 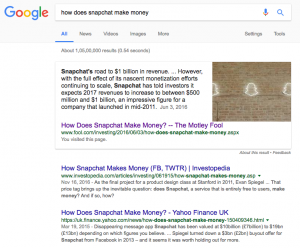 A: Revenues – How does Snapchat Make Money? 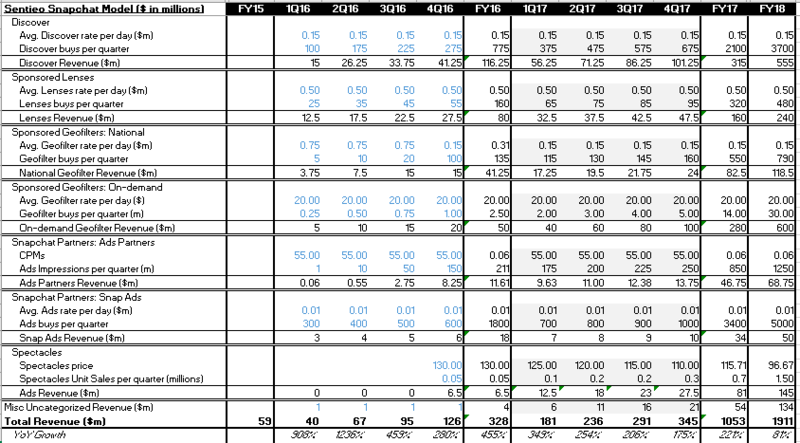 Sentieo SNAP revenue drivers and assumptions. Sources are in the excel file. Of course, garbage assumptions lead to garbage conclusions, but we think that every $SNAP investor and commentator will have to follow this model when talking about variances in their opinions from now on. 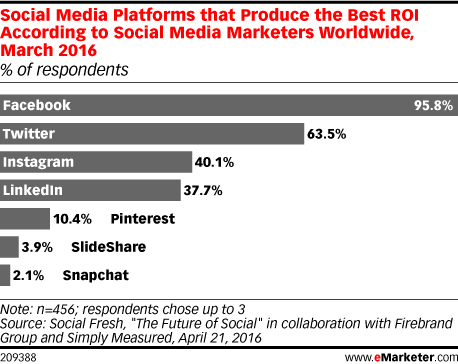 In particular, we look for extremely high growth in Snapchat’s new third party API driven buying platform, and of course more excitement in the new Hardware category that has only just begun. So, $330m in 2016, $1.05bn in 2017. So far so boring. B: Costs – How Does Snapchat Lose Money? A random search on Google reveals hundreds of poorly researched articles titled “How Snapchat makes money”, which is ironic given that Snap is likely the most unprofitable social media IPO of all time. While tech investors are extremely comfortable with the idea of making losses to gain market share, managing cash burn rates is something all startup investors and founders are intimately familiar with and is a legitimate concern. When $SNAP’s S1 becomes public, what we will learn about the company is not the revenues, but the costs that a notoriously young management team, riding high on momentum with an inexperienced CFO, have racked up. While they have been very prescient historically, the exponentially accelerating acquisition pattern we covered in our last post at once reflects the pace of innovation in the fast moving media landscape, but also the costs that will stick should those choices miss the mark. You can play around withour model here (snap-model). This breakeven growth ASSUMES that Snap grows revenues 200%, which given the context of today’s revelation will come under question today. We think bullish investors who have so far only focused on price-to-sales or price-to-user comparisons between the SNAP IPO and FB IPO will begin to focus on the rest of the financial statements as Snap comes to market. We stand ready to help Sentieo clients find the information they need to make their most critical investing decisions in the largest IPO of 2017.